Pics and Kicks: got questions? f a to the q.
I'm going to add a faq section to the new blog. Do you have questions you'd like to see included? they don't necessarily have to be photography related. . .
related to photography, I'll include it. 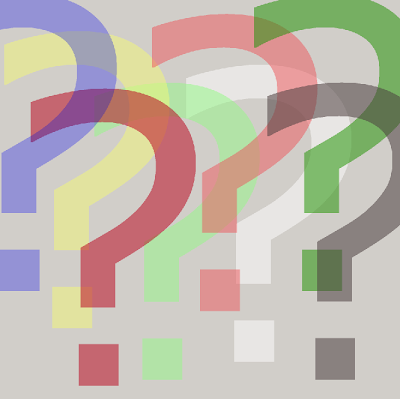 **post also edited to include: some of these questions are related to GENERAL PHOTOGRAPHY. That kind of information will most likely not be included on the FAQ as it is not specific to me, my business, how I personally shoot (and can easily be found through our friend google). If you ask a question of the more "general photography" nature, while I may not include it in the faq, I would be glad to consider it for future posts for Digital Photography School where I also write. I would recommend FAQing your Camera info. etc. This is a question that you don't have to answer on here but I wanted to ask you. Which program/programs do you use to edit your photos? Also, is there a cheaper alternative to photoshop? I have been wondering about image size and cropping. How does cropping affect image size? How are pixels changed? Is there a general guideline for cropping? Like how much can you crop from a picture and still have a good resolution. When I download my pictures onto my computer they are at 72dpi so if I edit them, but don't crop, do I need to resize them to higher resolution? I know that's a lot of questions, but I'm hoping that since they are all interrelated, you can give a general lesson. Thanks! i'm SO looking forward to the FAQs!! Do you Mentor? (Will you mentor me?) How did you get your start in Photography? Thanks SO much Natalie!! You ROCK more than you know! Do you shoot in Manual or Aperture Priority (or somthing else)? when you shot with richies man crush, you brought up manual white balance. i would like to see more about manual white balance. i wasn't sure if you were speaking to the kelvin scale or just coming off Auto WB....and i need some ideas about where on earth i even begin with photoshop, are there books that helped/help you? do you meter for light or do you meter for skin? i like sun flare, when aiming for flare do i underexpose the shot? i could ask all day. i really admire your work/style. What lenses do you use? Thanks! Just wondered if you use custom white balance and if so how do you get consisted results with it? Are there any products you use in relation with that? Wondering when we can have a girls night...?!!! not sure if you should include this on your FAQ's. But hey, just a thought! What's your favorite way to get clients & children to relax, laugh & look natural during a photo shoot? You seem to have a blue/purple tint to your pictures that I LOVE! I don't even know if that makes sense, but the whites appear cool, not yellowish. Is that just the coloring of your camera (which I think you've said previously you use a Nikon), is it your white balance settings, or your post processing? #1. Can you explain what the guidelines are for where it's OK to take pictures? What is considered a "public" place and how do you know which places you need to get "permission" from first? #3. Can you explain how to back button focus, and what is the advantage of doing it? Thanks Natalie! I look forward to reading through your FAQs! Hi Natalie! Thanks for opening this up for us to contribute ideas of what we'd like to learn! You mentioned the other day that you sometimes shoot jpeg with manual white balance. What is your standard format: jpeg, raw? Why do you use what you do? Seems like most of the opinions say raw is the way to go for flexibility in editing, but sometimes I don't think I can see the difference between editing a jpeg and editing a raw file. Thanks so much, and I plan to continue to tune in often!! Hey Natalie, I love your work and think you have a fantastic approach to life - you truly are an inspiration on all fronts! My question is: your work seems to have an amazing light quality - the photos look really luminous and the colours are so clear - is this because you have a fantastic lens or is it the amazing Hawaiian light quality or post processing? I am in grey, wet London, UK, so would love my pics to sing like yours do! Thanks for any help. Natalie, this is so so exciting. I have volumes of questions. But can't wait to read your answers to our FAQ's!!! when you first started out, how did you market/get clients?? i know photography is a huge word of mouth business, but how did you get those initial shoots so that the word could spread? In editing pictures with my brother in law and his wife i run into the problem of the fact that they both have really dark almost black hair and are both practically translucent. I don't like their hair being flat or look like it's greyish but I don't know how to make their skin look less WHITE (and shiny) without depleting their hair color. I'd love to know how to set your white balance, and how you get those beautiful skin tones! ... oh ... and what kind of post processing you do to get your black and whites (the ones that look all light and dreamy) ... thanks! Where are some good places to learn how to use photoshop? Where are the filters on Photoshop and how do you use them? I really appreciate your willingness to share your knowledge... My question is.... when you shoot newborns, what do you use to prop them? (a bed, table, bean bag, bean bag on table by the window, infant chair, etc.) thanks! How to prepare images for BIG TIME enlargement on Canvas? I found your blog one day when I was googling tips on photography & found your articles on DPS. LOVED them! I'd love to know also your shot details s/s, lens and aperture, iso (nosey aren't I?) and also maybe a couple of samples of what post processing you did to achieve the final outcome, a before and after shot. and...you and and your family are still in my prayers daily. What do you use for setting your WB? Do you have a light meter? Do you shoot in manual focus? I have trouble with white balance and end up just setting it to auto. Any tips? I have a 50mm f1.4....I have heard about a 'sweet-spot' on the lens? What is this? I like taking pictures of me kids, do I need an external flash unit? will this improve my pictures? Not a photo question but just a random question... Does Richie have a brother that went to BYUH and drove a full size van or was that Richie or am I just completely thinking of the wrong person? Okay so I'm trying to get out of using auto all the time but it seems more often than not when I shoot manual my photos come out looking kinda grainy or out of focus. Can you tell me how to correct this? And how do photographers make their subjects eyes look so shinny and glassy looking? What poses are BEST for a couple shoot and also at weddings? The couple get really uptight and shy sometimes. another Q. Families get so irritated at weddings if you have to photograph them all together. any tips there? Just want to say you are AWESOMMMMMMMEEE!! a real inspiration to alot of people out there! thank you so much for that!! 1. Could you elaborate more on how you set up the white balance? 2. How do you meter the scene? There are thousands theories on how to meter a scene - starting from sunny16 through grey/white card to zones system and finally "art" of exposure compensation. How do you cope with metering? Wow, Natalie, you're gonna be a busy beaver! :) No questions from me as a lot of mine have already been asked. You are such an inspiration for many of us, in our daily lives and photography lives. xoxo from TN! ok here is my question. I hate it when black and white (or "chocolate") type pictures have gray tones instead of white. How do you get a nice B&W that displays more white tones and less of the middle gross gray tones? How did you learn photography? Did you take any classes? Were there any books that helped you on your way? 1. Do you load all your pictures in that program or another to organize them? 2. Do you use the tags in photoshop elements? 3. Do you load only the pictures you want to edit into elements? 4. Where do you recommend starting? a book or tutorial? The choices for learning the program and learning to shoot a digital SLR with custom settings seem overwhelming. Thanks for any tips! Do you use off camera flash at receptions? If so, do you have any pictures of your flash setup or advice for where to place flashes, what settings to use, etc. I really enjoy reading your blog and I am so inspired by how real and honest you are. Continually saying prayers for you and your family. I'd also love to know more about color space. I find that with my photography I hit plateaus and want to move to the next level. Two years ago I was shooting in auto and had a good understanding of composition so I went to DPS and read your articles on how to shoot in manual. I now understand this and want to know what technical skill or understanding is next in the flow of knowledge? Do you use a reflector? I feel like I constantly have shadows underneath my subjects eyes even if they're facing the sun and during happy hour. Your subjects have silky smooth skin... how? I'd like to see more tips on using a flash with portraits/weddings. 1. Do you photoshop all your photos? I got another! How do you share your photos for client viewing/ordering? not a question,but a comment; i was bloghoping and came upon this blog, bartonfamilyco.blogspot.com, they need lot's of prayers. It's been addressed but JPEG vs. RAW. What's your take? Thanks for helping me remember what's important with photography and more importantly, life. We snuggled just a little tighter last night while I sang 'you are my sunshine.' Your strength is inspiring. Do you have books or other non-web resources that have been influential or inspirational to your photography? I am just starting out in this field, though I have been taking pictures for a long time. Since I'm new, I wanted to ask you if you thought the Nikon 35mm f1.8 lens is a good one for me to take outdoor portraits and newborn portraits. I have a D5000. Eventually I want to get a more professional camera, but for now this is what I have, I love it, and want to make the best of what I do have. So, in case you got lost in my ramblings. My question is, for my D5000, is the 35mm f1.8 lens a good one for portraits, or is there a different, better one for me that is affordable?